Lovely Lighting (LMJ) designs, engineers and manufactures architectural and landscape LED lighting systems in a multitude of types, colors, form factors, and output levels. LMJ is dedicated to introducing a flow of innovative products which are created around its philosophy of combining advanced LED technology, exceptional product design, value-added engineering, and quality-driven manufacturing. Since its establishment in 2001, LMJ has been committed to creating a plethora of aesthetic possibilities to help designers and architects bring out the best in architecture and landscape settings for a visually stunning architectural LED lighting experience. 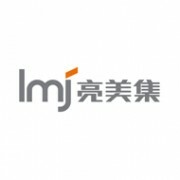 LMJ's beautiful array of specification lighting products include LED wall washers, single color/RGBW LED flood lights, LED spotlights, LED accent lights, LED handrails, LED linear lights, LED inground lights, outdoor wall lights, LED point light sources, and LED window lights. LMJ LED architectural lights are designed to project high intensity, highly saturated light for floodlighting, spotlighting, wall washing, and grazing in a variety of hardscape and softscape lighting applications. LMJ RGB LED wall washers are a set of robust linear fixtures that create dynamic, full RGB color mixes for the dynamic illumination of facade structures and landscapes. LMJ LED fixtures that are robustly constructed to withstand harsh outdoor environments offer a full palette of architectural lighting options with exceptional lighting performance and stunning lighting effects. Headquartered in Guangzhou (Canton), Lovely Lighting designs and crafts its state-of-the-art lights in a 30,000-square-meter facility. The fully staffed and equipped manufacturing infrastructure offers LMJ a complete package of in-house capabilities that include optical and mechanical engineering, thermal management, smart control and driver circuit design. Years of adept design, manufacturing and project management experience has proven to be an essential heritage to drive the company's continuous innovation and growth. LMJ offers fully integrated turnkey lighting solutions to manage a project end-to-end, delivering superior value by fully leveraging the company's integrated manufacturing infrastructure, unique expertise and advanced technology. This page was built and maintained by the team at manufacturer.lighting, a premier industry portal that truly leverages professional industry expertise and integrated internet marketing strategies [about us]. Please contact us if you're associated with Guangdong Lovely Lighting Co., Ltd. and are authorized to claim this company listing. Upon upgrading your account you'll have a full-featured membersite to publish and promote your products. We're devoted to making you stand out in a crowded market by delivering your business value and industry competitiveness in front of the global business audience, instead of compelling you to be an online vendor that competes desperately on price.